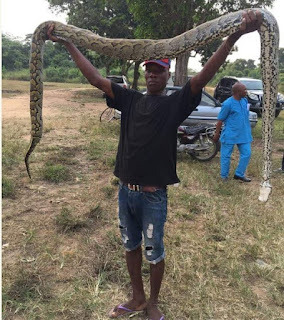 Home Nigerian News A Man Killed Big Python and displayed it for photos. A Man Killed Big Python and displayed it for photos. 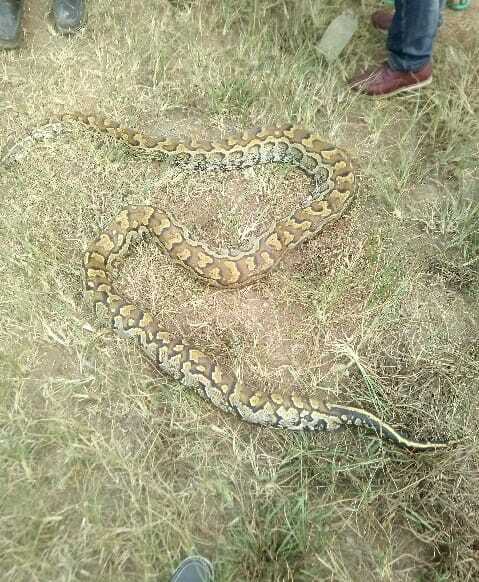 A huge python was killed in an unnamed area of Lagos and the proud killer had decided to showcase his conquest. 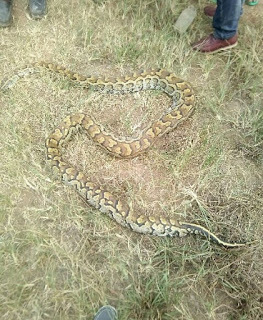 The man who narrated this story said that some men from his place of work who enjoy feeding on snakes captured and killed this python. In one photo, the snake killer lifted the reptile straight up in the air as if to show his victory after conquering the massive snake. In another, the dead snake was pictured after it's carcass was stored in the boot of a car, presumably to transport it to where it will be processed for food. While many found the scenario funny, most believe that there would be repercussion following the careless killing of snakes and other reptiles.